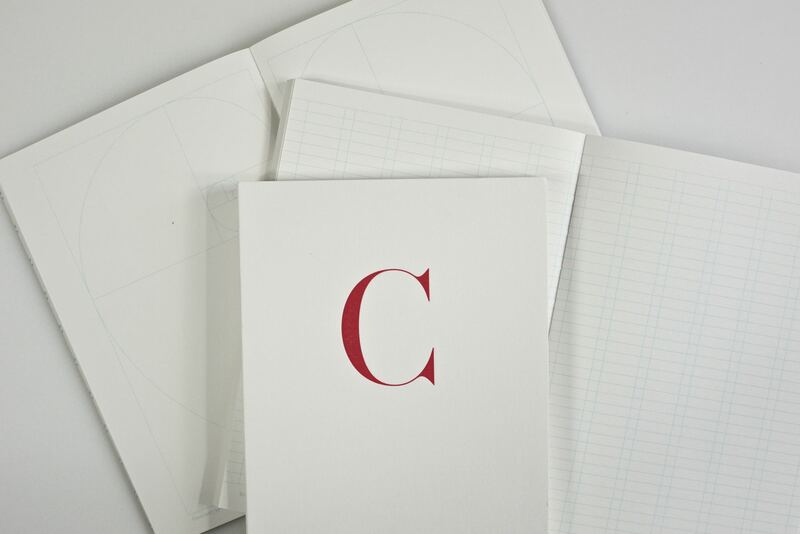 At Arjowiggins, they love the feeling of a sheet of fine paper and the genuine pleasure of writing down our thoughts and ideas on it. 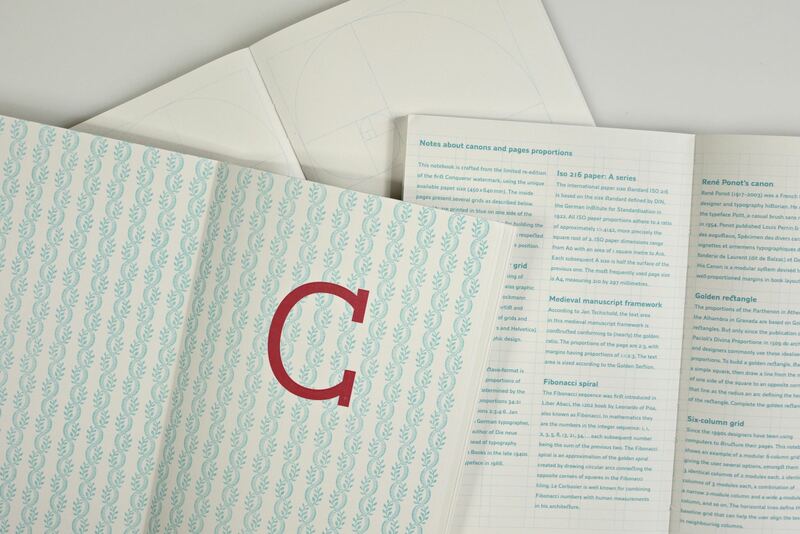 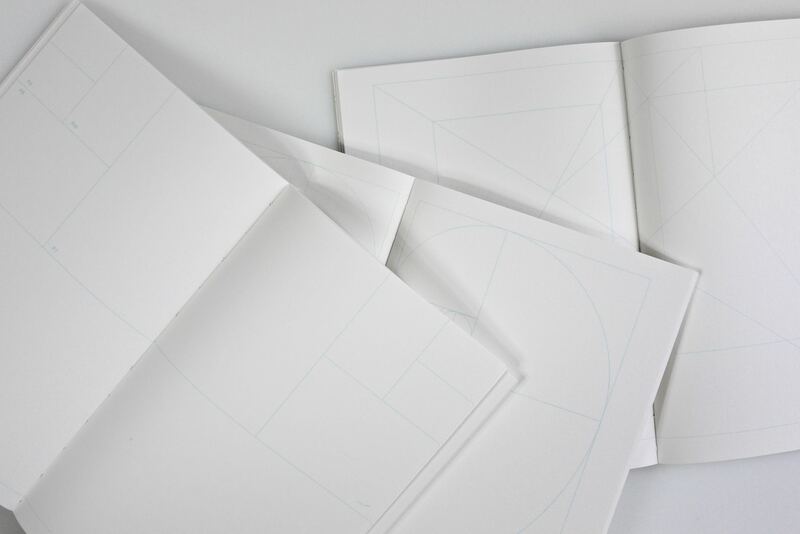 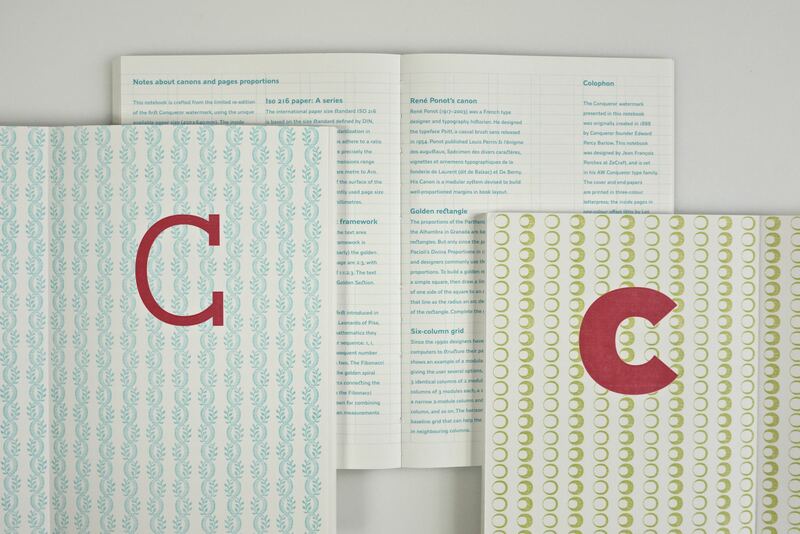 Collaborating with Arjowiggins led us to the design of a notebook: 128 pages of luscious paper, letterpress printing, and a typographer’s eye for design. 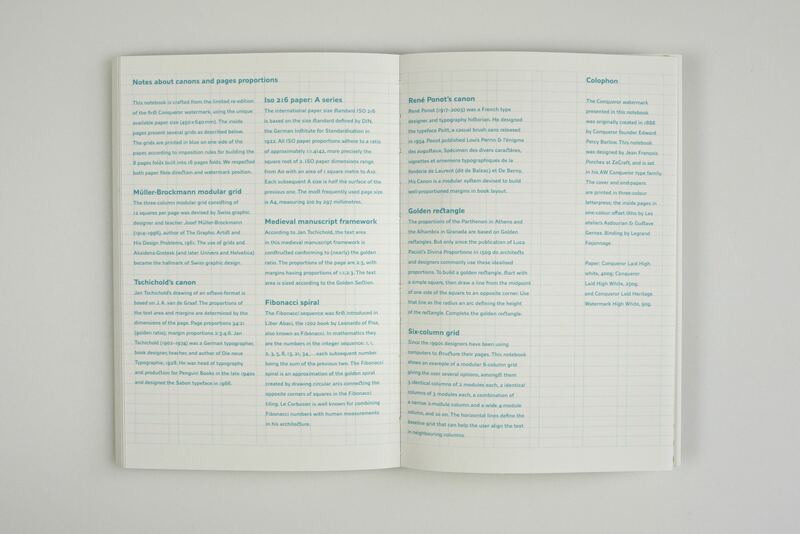 The patterns of both end-pages were created from traditional ornamental typeface symbols: the first spread (in blue) uses a border from Sabon Next, and the last spread (in green) is set in a vignette from Ambroise. 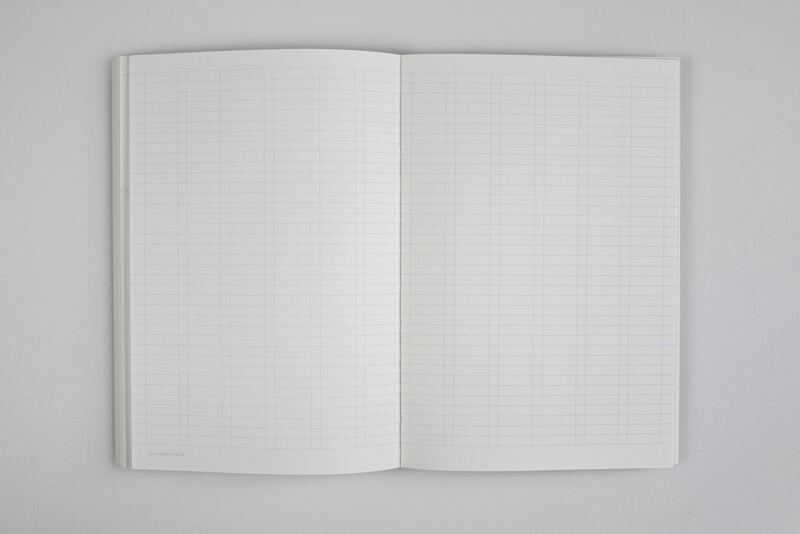 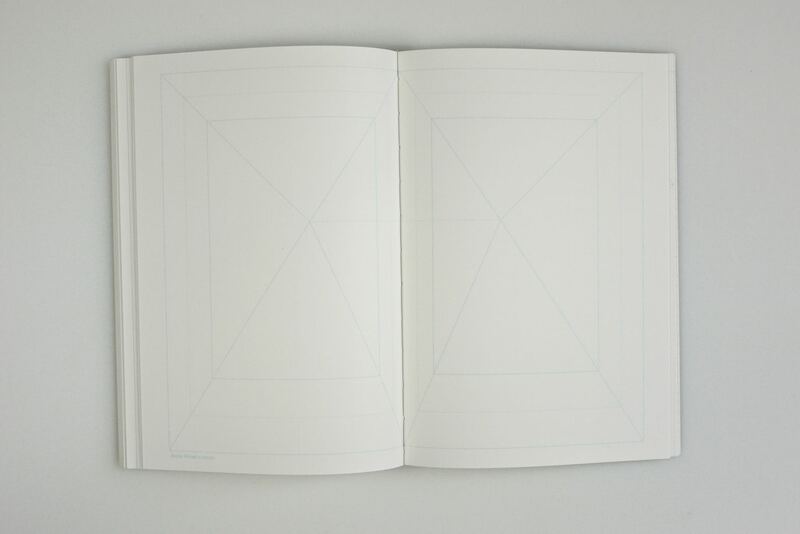 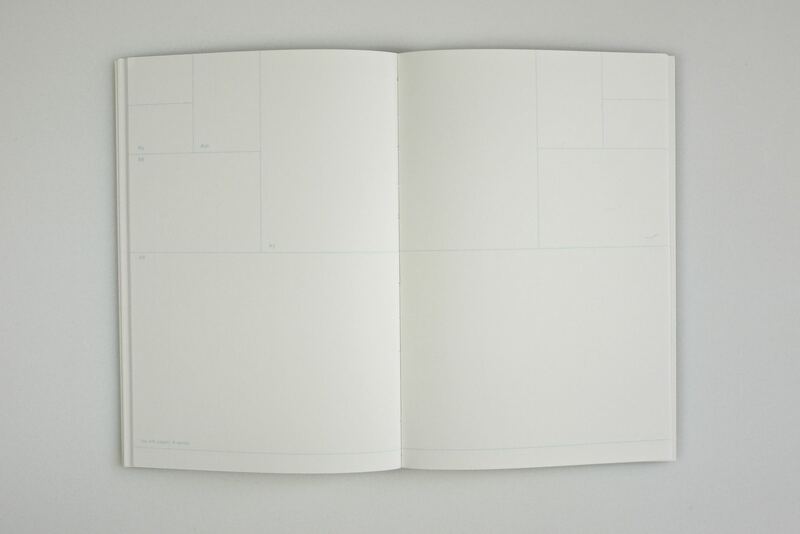 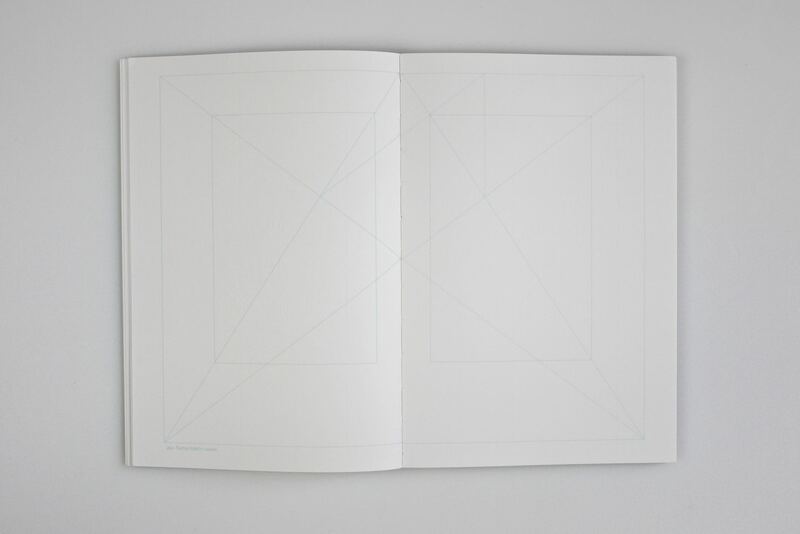 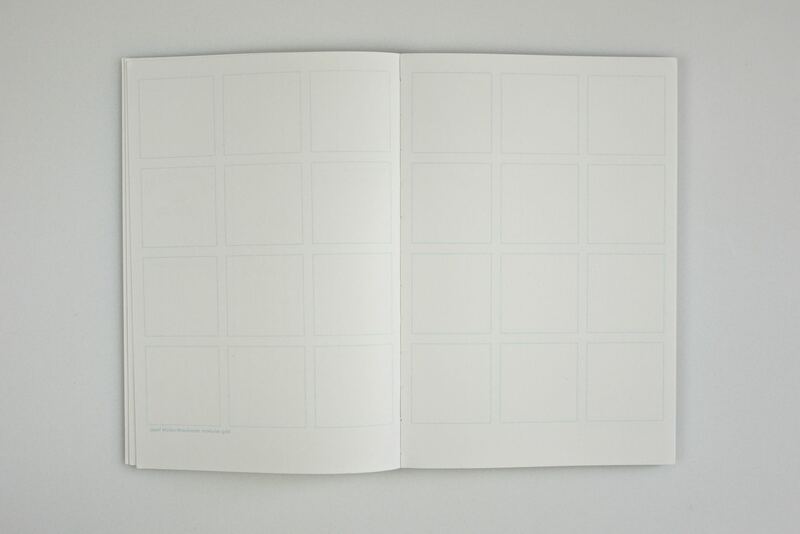 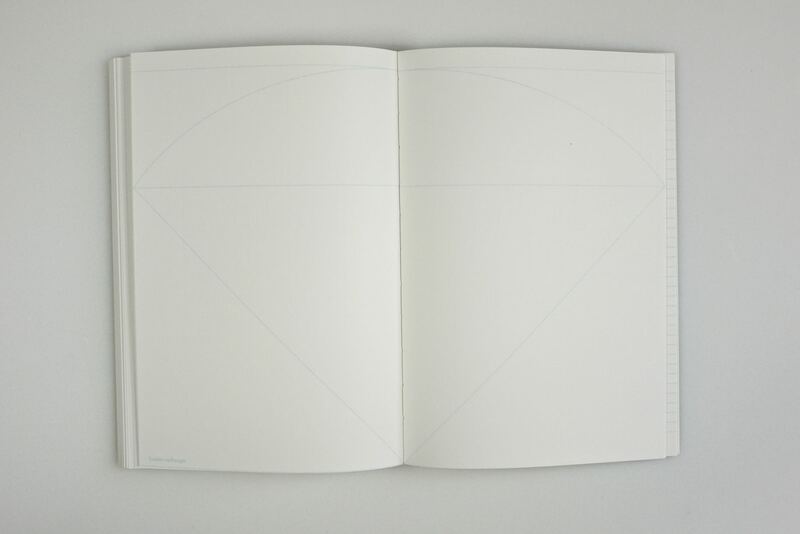 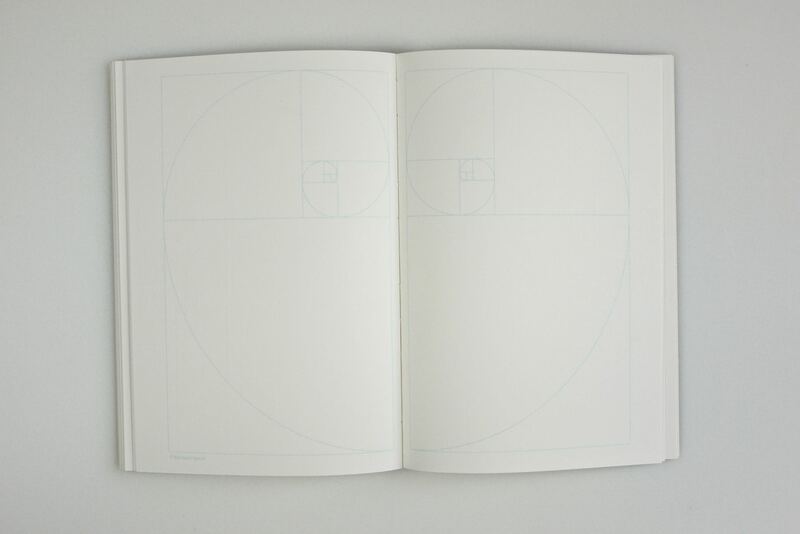 The inside pages present several grid systems used by designers and typesetters, from the international A series, to the Golden rectangle and Tschichold’s Canon. 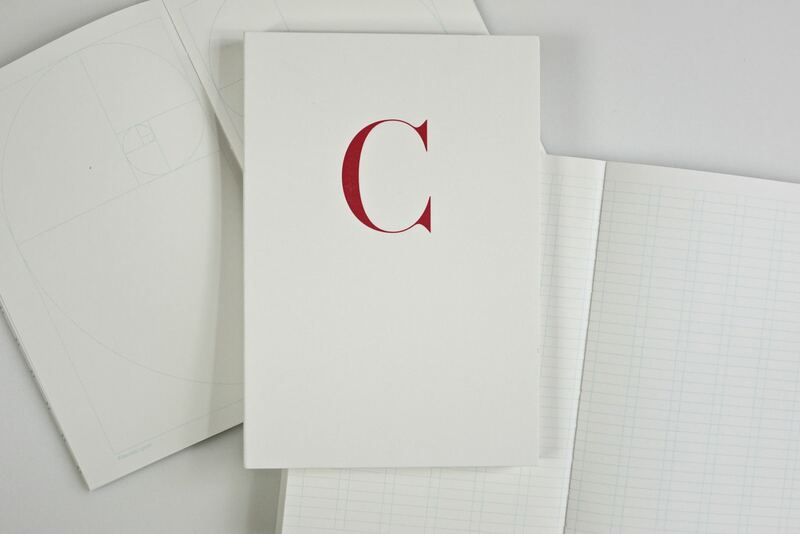 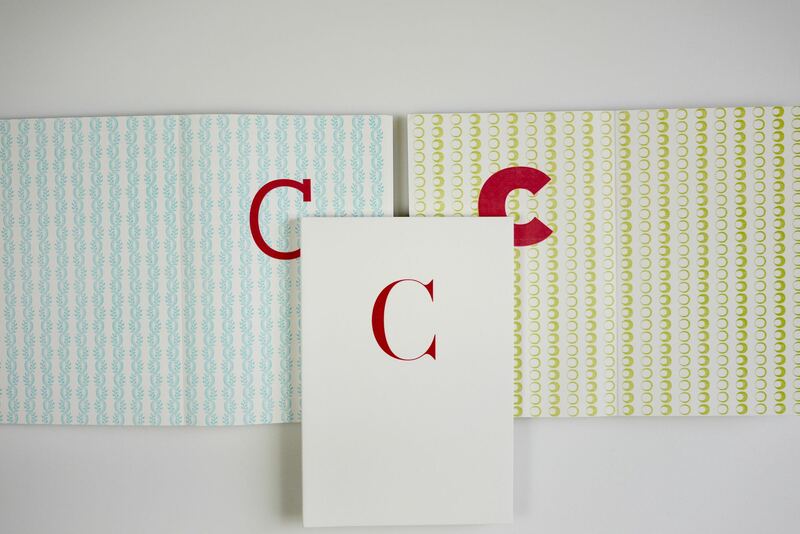 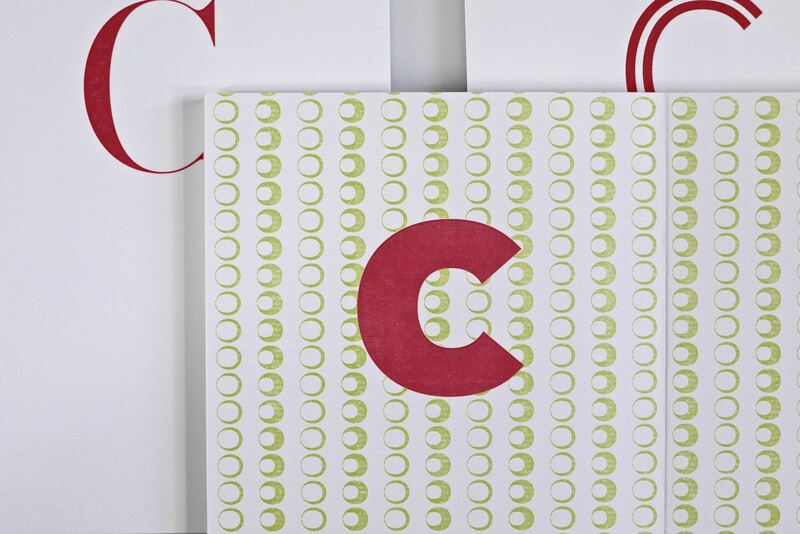 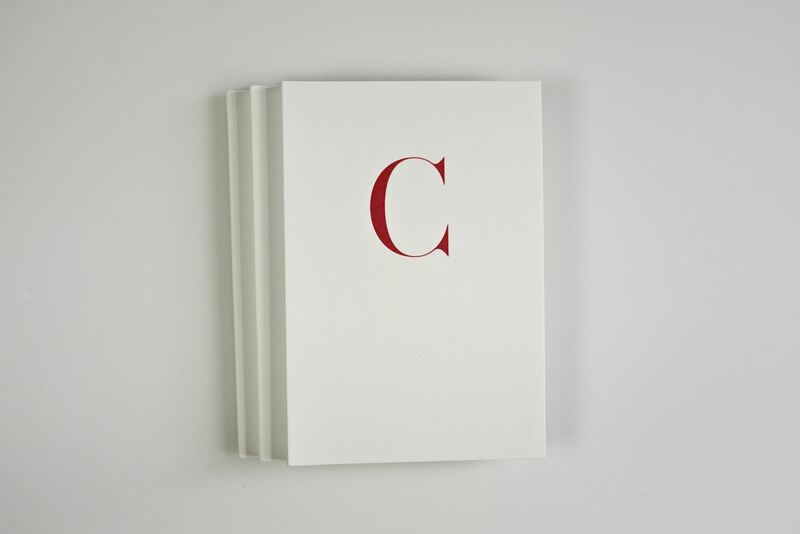 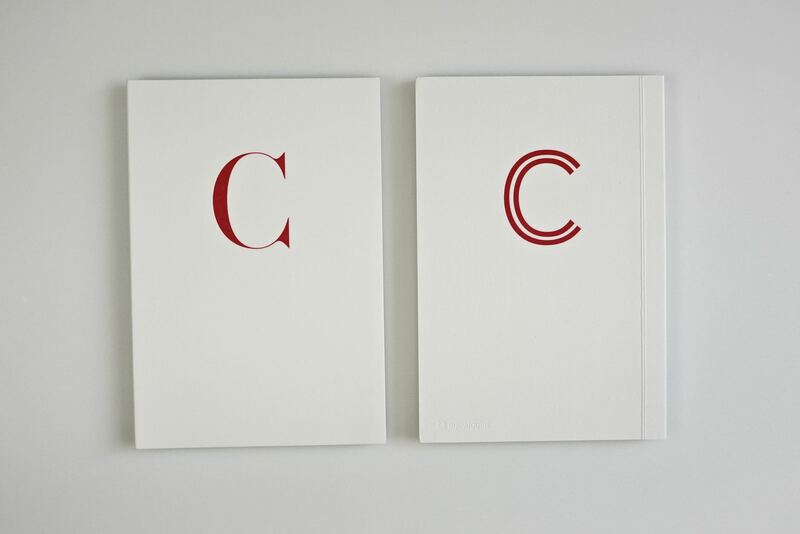 The C (in red) is set in various typefaces from AW Conqueror typeface family, originally designed by Jean François Porchez for Conqueror. 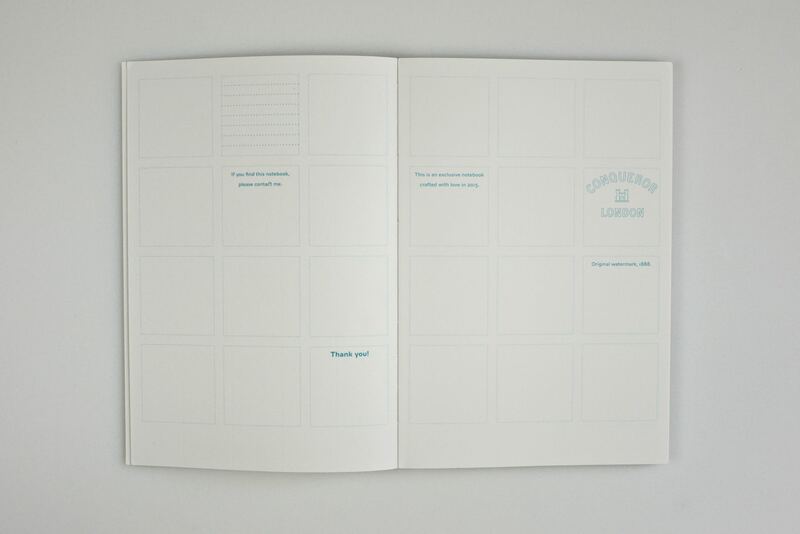 The Conqueror watermark used for the inside pages was originally created in 1888 by Conqueror’s founder, Edward Percy Barlow. 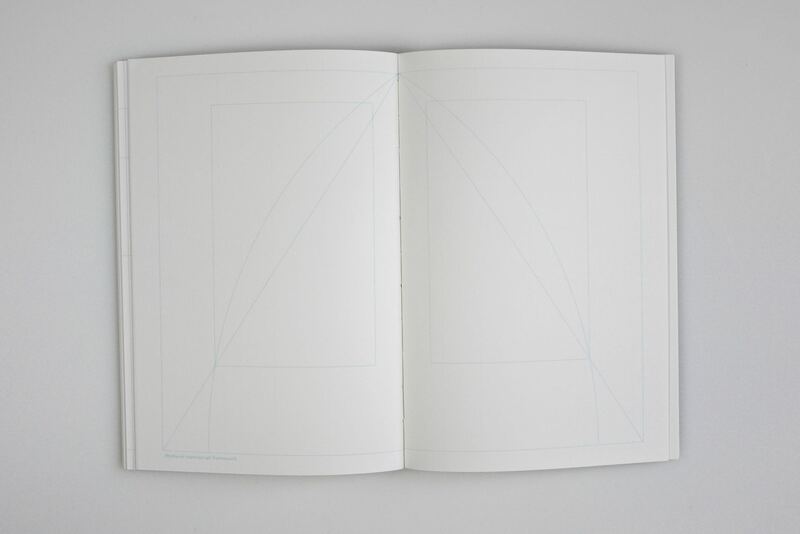 This “Heritage” watermark has now been recrafted and is once again available as a limited edition on Conqueror Laid. 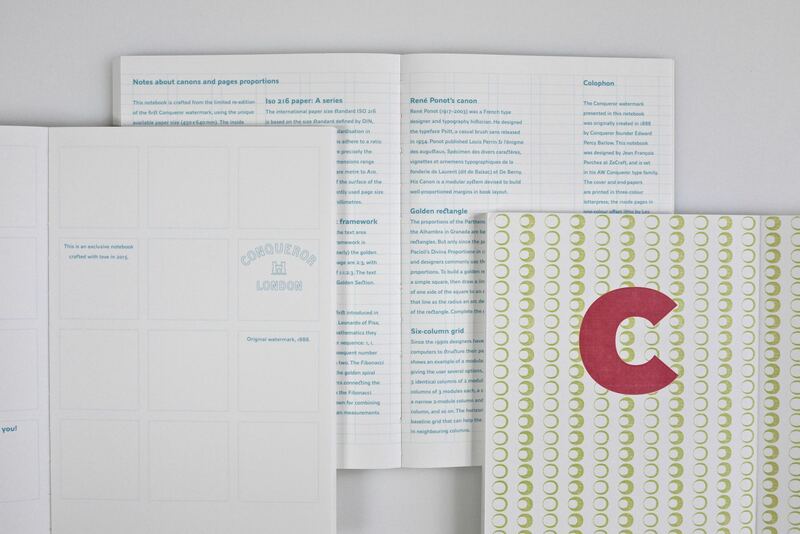 Main typeface: AW Conqueror available at Typofonderie.